LONDON (Reuters) – Chinese stocks look a better bet than the United Kingdom next year, as Britain struggles with its painful divorce from the European Union, a senior executive at BlackRock, the world’s top asset manager, said on Tuesday. “China is slightly more invest-able than the UK right now,” said Nigel Bolton, chief investment officer of international equities on the sidelines of a briefing on Tuesday. The comment illustrates the depth of concern about the uncertain outcome of Brexit, with the FTSE 100 <.FTSE> and midcap index <FTMC> on track for their worst year since 2008 and sterling languishing at 20-month lows. 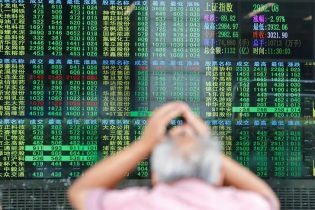 It is also significant as Beijing remains locked in a protracted trade row with Washington, which has triggered big sell-offs in China’s volatile equity market in recent months amid worries it will hurt the world’s second-largest economy. BlackRock’s Bolton said he would wait until there is clarity around that dispute. But he pointed as positives to Beijing’s efforts to shore up its economy and expectations the government will take more aggressive action in coming months to reduce the risk of a sharper economic slowdown next year. “We think the upside is potentially bigger than the downside. We’ve been edging money back into China,” he said. In contrast, he still sees a 30 percent downside risk to domestically focused U.K. equities as Prime Minister Theresa May’s deal flounders with less than four months until the United Kingdom is due to leave the EU on March 29. The blue-chip FTSE 100, which makes 70 percent of its income outside of the UK, has fallen 11.5 percent so far this year, while the more domestically focused FTSE 250 is down 15 percent year to date. The sterling was near 20-month lows on Tuesday after May on Monday pulled a parliamentary vote because she faced defeat and a day later rushed to Europe to try and renegotiate new terms. While BlackRock doesn’t expect Britain to go through a hard Brexit, the political uncertainty will cast a cloud over the market for the foreseeable future. That may be the case for European equities too, Bolton said. “In Europe, we’re more cautious over the next year or two. The primary reason is politics, with the unknown factors of Brexit, concerns around the French government, a new policymaker in Germany and the open question of Italy,” he said. The asset manager’s top pick is U.S. equities based on expected earnings growth of 9 percent – compared with 5-6 percent in Europe – and the pace of share buybacks of some $800 billion, Bolton said.